The Denver Broncos and Dallas Cowboys combined for 99 points and over a 1,000 total net yards in Denver’s 51-48 win over Dallas on Sunday. 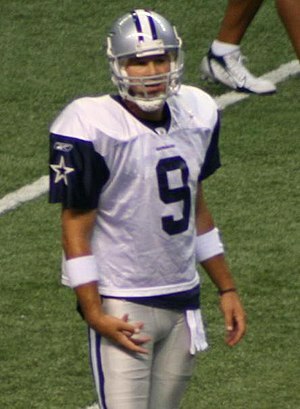 Dallas QB Tony Romo broke the team record for most passing yards (506), and Romo and opposing QB Peyton Manning combined for 920 passing yards and nine passing TDs. Here’s a look at a few more stats of interest that you may not know from yesterday’s shootout. 1. With their 51 points, the Broncos became the 203rd team to score 50-plus in a professional game since 1940. Their three-point victory tied for the smallest margin of victory for a team scoring 50 or more points. On December 22, 1963, Oakland defeated Houston 52-49; twenty years later, the Seahawks scored 51 in a 51-48 win over Kansas City on November 27, 1983. 3. Romo became the 15th QB to throw five or more TD passes in a game and lose. Three players have tossed six TD passes in a losing cause: Charley Johnson (St. Louis 11/2/69); Dan Marino (Miami 9/21/86) and Carson Palmer (Cincinnati 9/16/2007). Teams are 148-15 in games their QB has five or more TD passes, a .908 winning percentage.